Samsung Electronics has said that one of the reasons for not establishing a manufacturing plant in Nigeria is because its market share in the country is not big enough. Mr Sung Yoon, the Chief Executive Officer of Samsung Electronics Africa, made this known during an interactive session with newsmen on Thursday in Lagos. The Samsung CEO said that manufacturing a mobile phone required about 400 different components, none of which is available in Nigeria. 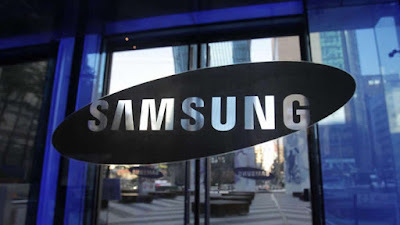 Yoon said that though Samsung was the leading consumer electronics company in Nigeria, its share of the Nigerian market is smaller to South Africa’s. NAN reports that he said that the company’s smartphones market size in South Africa is 80 per cent, but is lower in Nigeria. According to him, other issues that affect the building of manufacturing plant in the country are infrastructure, Return On Investment (ROI) and grey market. “We are trying to be a local company here. Building factory depends on return on investment and efficiency of the economy. “There are lots of grey products coming into the country and this will affect the return on investment,” he said. He said that the company had manufacturing plants in Vietnam, China, South Africa and Korea, hence, having one in Nigeria is a thing of the future. Yoon said that Nigeria’s population of 180 million was a power for the future, a reason why Samsung wanted to be part of the corporate citizenship. He said that annually, the company spent $16 billion globally on Research and Development (R&D), sold over 700 mobile phones every minute and over 41,000 every hour, globally.